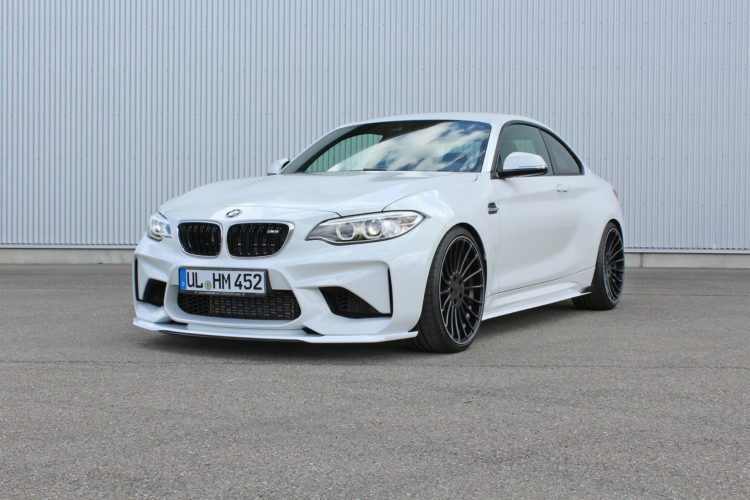 German tuner Hamann Motorsport is hard at work trying to bring out new aftermarket parts for the highly popular BMW M2. Just the other day we looked at their exhaust system and today we’re being offered a glimpse into the aerodynamics program. The company published a few photos featuring their prototype M2 sporting aero add-ons on the front bumper. From the looks of things we could be dealing with a 2-part setup. There’s an air splitter installed at the bottom of the bumper, dressed in Alpine White just like the car, and then there’s an extra lip noticeable at its bottom, that seems to be made of carbon fiber. Whether the two will be sold separately or not, remains to be seen but they do look good nonetheless. Judging by what we know so far, Hamann will also be offering a new exhaust system for the M2 as well as aero upgrades and, most likely, an engine upgrade. After all, the M2 uses an enhanced version of the N55 engine and they already have offers for this mill, admittedly aimed at other cars in the range that use it.